Plated in silver, these dangle-style earrings are the perfect accessory for adding a touch of sparkle to any special occasion ensemble. 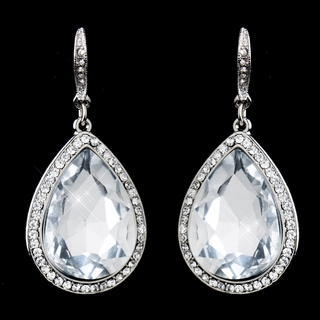 The highlight of this design is a large clear gemstone that is encompassed by a rhinestone-encrusted teardrop shape. They are simply exquisite!